Web-based class management, registration & billing software for Martial Arts Studios. Main Street Sites provides services for Martial Arts Studios. The setting for this video is a dance studio, but our services work equally well for Martial Arts Studios and many other similar businesses. Enter your class schedule and it will show up on your website instantly. Each class meeting will be listed on your calendar and a summary of your schedule will be listed on your classes page. Customers can pick their classes and make credit card payments online at anytime. Deposits and installment plans are supported. 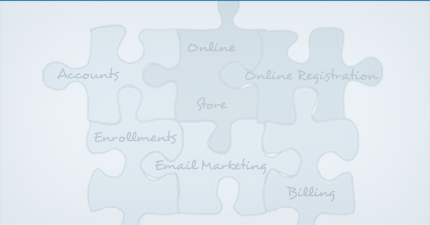 Enrollments are created from registrations automatically. Your website can accept credit cards, PayPal, and ACH (eCheck) payments (the actual options will depend on the payment processor you select). Send colorful marketing emails and newsletters to your customers with our built-in email marketing features. Send up to 3,000 emails per month for free if you have Back Office and a website from Main Street Sites. Bill your customers each month quickly and easily with our recurring billing features. Keep careful track of who owes you money and get paid on time! Create a private area on your website for class materials, videos and photos from your classes and more. Make-up scheduler, demo scheduler, custom forms, Facebook integration, coupons, discounts, etc.. Powerful services made simple. Accessible any place, any time. Automatic backups. Enterprise-level encryption. PCI-compliant data center. Low monthly fees. No start-up costs. No commitments. Cancel at any time.